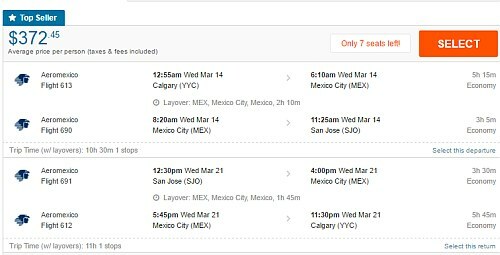 Aeromexico has dropped the price of their flights from Calgary to San Jose, Costa Rica down to $372 CAD roundtrip including taxes. The flights have 1 stop in Mexico City each way, for about 2 hours. NOTE: Mexico City airport is notorious for taking a long time to get through customs, etc. A 2 hour layover is plenty of time for most airports, but it can be riskier here. 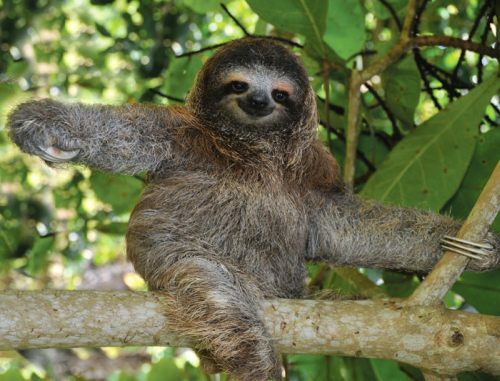 Update 12/1 - Skyscanner is now showing these Aeromexico flights from Calgary to San Jose, Costa Rica for as low as $334 CAD roundtrip including taxes on some dates. Try dates from the list above. calgary, yyc, united states, flight deals, california, san jose, sjo, north america and aeromexico. One Response to "Calgary to San Jose, Costa Rica - $334 to $372 CAD roundtrip including taxes"
I’ve tried 4 times to book and each one gets cancelled.